-Spring/frame pad pro-rated warranty is covered against manufacture defects only. We do not cover against fading, as products left outside against outside elements can and will fade. We suggest customers to treat spring pads with 303 Aerospace Protect to extend the life of the product. -Trampoline Jumpers warranty its product against manufacture defects only and not against normal wear and tear. 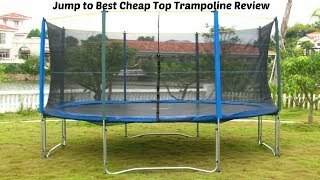 All components of Trampoline Jumpers trampolines are warranted separately to ensure you get the best value from your purchase. Our warranty does not cover but not limited to damages or failure caused by abuse, misuse, and normal wear and tear, commercial and abnormal usage, natural acts of nature, such as earthquakes, wind conditions, hurricanes, tornados, thunder, rain, fire, excessive heat and cold conditions and/or sun damage. Trampoline Jumpers doesn’t warranty against fading and/or discoloration of logos, paint and/or pad, mat, net or any/all parts of the trampoline. Trampoline Jumpers does not cover against noises produced by trampoline, as moving parts can squeak or produce noise. -We do not cover against paint smears and/or blemishes to mats, frames, springs pads and nets. They are not considered manufacturer defects, as they do not affect the performance or quality of the trampoline. Excessive paint smears and blemishes may be cleaned off with soap and water.